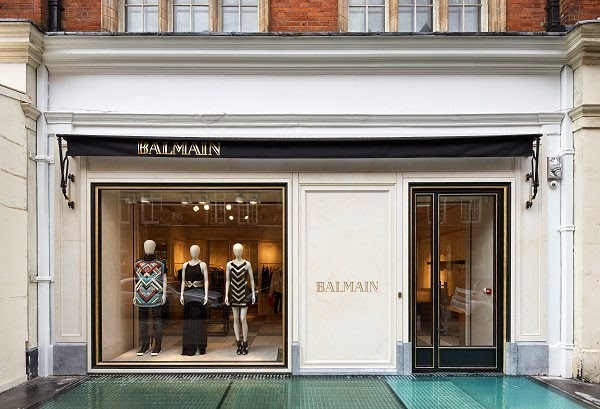 French fashion brand Balmain has inaugurated its first flagship store in London. 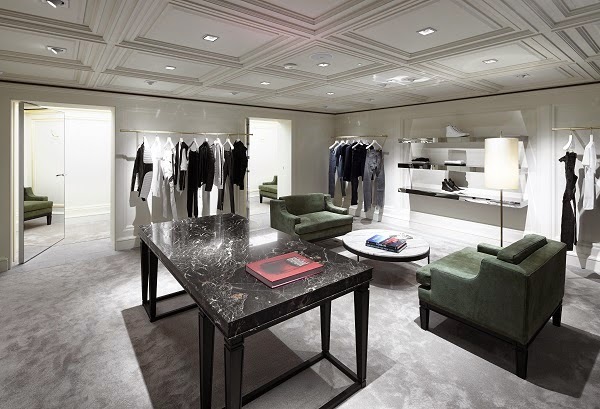 Located on South Audley Street, the store was designed by architect Joseph Dirand, who had also overseen the refurbishment of the Paris flagship in 2009. 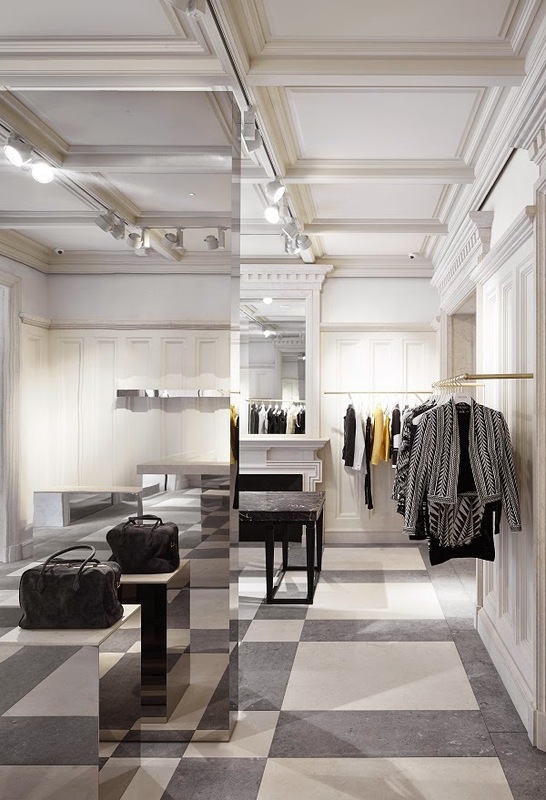 Set amongst architectural examples of the Queen Anne Revival style typical of Mayfair, the new 220-square-meter boutique features a sober stone exterior, with both the large front window and glass entry framed in black lacquer and gold leaf. 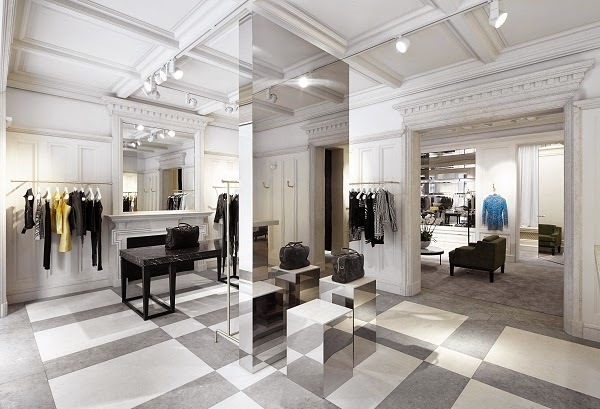 Inside, the floor reveals geometric designs made from beige thalas and grey hainaut stone, furniture inspired by Pierre Balmain’s favourite mid-century French designers André Arbus and Jean Royère, and antique brass and polished stainless steel fixtures similar to the ones that Dirand designed for the Paris flagship.